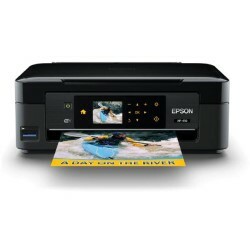 Our compatible Epson Expression XP-410 ink cartridges are a cost-effective alternative to genuine Epson cartridges without sacrificing print quality. Designed to be a cost-effective replacement for genuine Epson cartridges, our discount ink cartridges will flawlessly recreate your work on every page, guaranteeing a hassle-free printing experience. To ensure our products produce top-quality prints, these ink cartridges for Epson Expression XP-410 are tested for performance and quality. This process certifies that our discount ink cartridges meet or exceed industry standards. All products include a full 1-Year warranty and 100% customer satisfaction guarantee. We also offer lifetime customer support, thus providing our customers with complete peace of mind.